I promised myself I wasn't going to do this to myself again this year... but sure enough, it was the week before school ended and I had NO teacher gifts. And -- as one of the fun little bonuses of having a child in the special education system -- we don't just do "a gift for teacher and something small for the secretary..." We have the classroom teacher, the special education teacher, the morning aid, the afternoon aid, the therapists, the school secretary who has helped you as you signed out your child a dozen times (this month) and don't forget the awesome principal who has tirelessly advocated for your child. It's less of a teacher and more of a village. 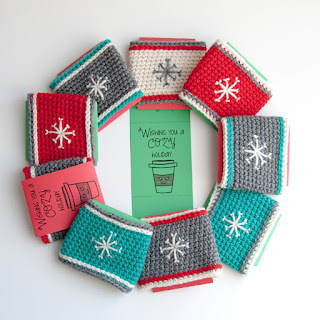 Having recently fallen in love with a little, local coffee shop, I wanted to do something with coffee for the teachers and started looking for a free, simple coffee cozy pattern. I found lots, but I wanted a simple look as well as a simple pattern and that proved to be a bit more difficult combination. So, I decided to hook my own. The end design is as simple as you want it to be (top-stitching and embroidery are optional) and whips up in the time it takes for me to wait for my kid in the carpool lane. Oh, yeah... and it's free. I hope you all enjoy it and that it fits the bill for your last-minute gifts too. 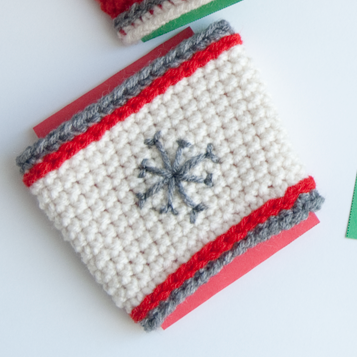 As an added bonus, I included a free, printable gift tag on the last page of the pattern. 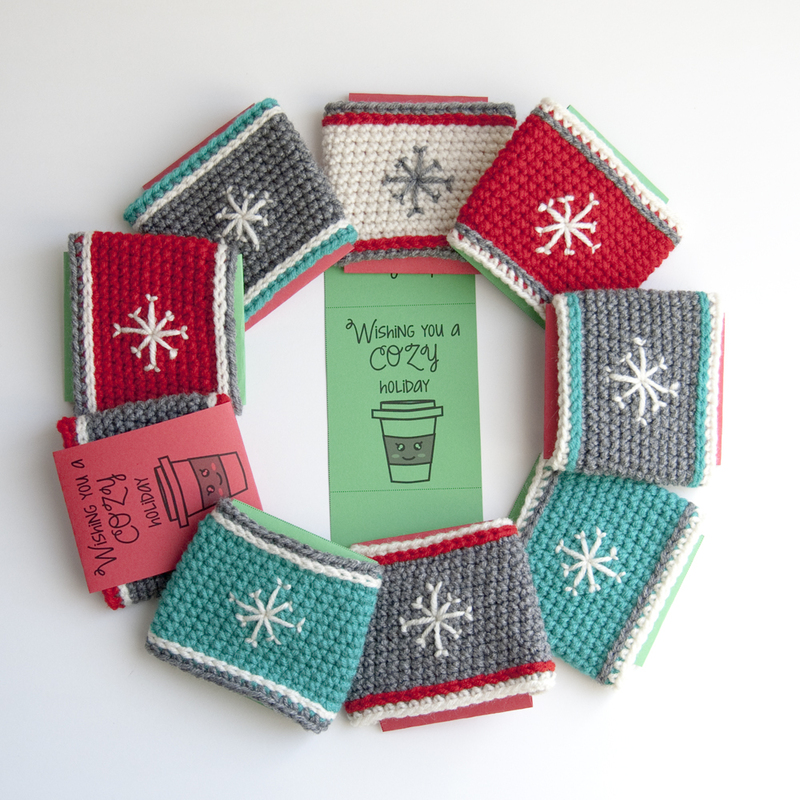 Just cut the tags and fold on the dotted lines to personalize your cozies! Love this pattern? Please consider making a donation (see the button on the right) to help me keep the ideas coming! A girl has got to buy yarn to create!